The Griswold family was well established by the time Matthew Griswold IV was born on March 25, 1714 in Lyme, Connecticut. The fourth generation of the family in America, he was the eldest son of John Griswold, a successful politician and landowner, and Hannah (Lee) Griswold. The first of the Griswold family to settle in the area of Lyme, which is now the town of Old Lyme, was also a Matthew. He had emigrated from England about 1639 and at first settled in Windsor. George Fenwick, who was in charge of the Saybrook Colony at that time, asked Matthew I to serve as a business agent. In 1645, Fenwick granted Matthew I a large tract of land, which came to be known as Black Hall. Through the succeeding generations, the Griswold family served in public offices and became one of the wealthiest and respected families in Lyme. It was at Black Hall that Matthew IV was born and spent his childhood. Griswold may have attended one of the local schools in Lyme, where his father John served on a committee to build two schoolhouses and hire teachers, but Matthew received no other formal education. In his mid-twenties, he decided to study law. He was admitted to the New London Bar in 1742 and opened a practice in Lyme. Many of his legal cases involved settling estates and collecting debts. He became a well-liked and respected teacher of the law as well and over the years developed the one of the first and finest collections of law books in Connecticut. Griswold married Ursula Wolcott, the daughter of Governor Roger Wolcott, on November 10, 1743. The couple had seven children. One son, Roger Griswold, later became governor himself. Also in November 1743, Griswold’s reputation as a fair and hard working lawyer landed him the appointment of King’s Attorney for New London County. The King’s Attorney represented the interests of England and her colonies in court. That Griswold held this position for over thirty years stands as a testimony to both his ability as a lawyer and his fair-mindedness. Griswold’s busy law practice, as well as his duties as King’s Attorney, left much of the management of Black Hall to Ursula. Griswold’s public service to the Colony of Connecticut began in 1739, when he was appointed a Captain of the Lyme Train Band (local militia). In 1748 and 1751, Griswold was elected a Deputy for Lyme in the General Assembly. He was re-elected in 1754, and served in this capacity until May 1759. While serving as Deputy, Griswold was appointed overseer of the Mohegan Indian Tribe. As overseer, Griswold was responsible for taking care of the Indians’ property and affairs. Griswold became involved in a lawsuit between the Mohegans and the Colony of Connecticut known as the Mohegan Case. The case, concerning land ownership in Colchester, Connecticut, was first brought against the Colony in 1704. The complaints reached Queen Anne in England who ordered an investigation into the problem. Although initially a Court at Stonington ruled in favor of the Mohegans, the matter was again brought to Queen Anne who, after a review of the case, ruled in favor of the settlers at Colchester. Many years of appeals followed. In 1764, Griswold was appointed to serve on a committee to once again look into the Mohegan Case. Griswold sided with the colonists, whom he believed had a right to the lands where they had worked hard to build their community. William Samuel Johnson, a famed attorney and close friend of Griswold’s, traveled to London in 1767 to present the case to the Royal Court. The case was settled in the colonists’ favor in 1771. Griswold was an active member of the church in Lyme’s First Ecclesiastical Society. During the mid-part of the eighteenth century, the New England colonies experienced religious upheavals. In Connecticut, religious and organizational changes had been gradually made in the standing church. Those who wished to reverse these changes came to be known as “New Lights,” while those supporting the status quo were known as “Old Lights.” In the 1740s, this “Great Awakening” swept across Connecticut. Charismatic traveling ministers preached throughout the colony, and churches took sides, or sometimes divided. The controversy continued for years and divided people along political and geographical lines as well. Griswold’s church in Lyme was enthusiastically affiliated with the New Light ideas, and had well-known revivalist preachers, such as Jonathan Parsons and Stephen Johnson, as ministers. Griswold served on various committees and acted as a moderator for church meetings. He also served as clerk of the Society from 1732 through 1748. In 1759, Griswold was elected to the twelve-member Council of Assistants. In 1765, the Stamp Act was passed, which placed a tax on numerous paper items such as playing cards, newspapers, pamphlets, and legal documents. In Connecticut, the New Lights violently opposed the Act, and a group of them formed the Sons of Liberty, who pledged to see the Act repealed regardless of the consequences. Griswold was a member of the Sons of Liberty and may have been one of the nearly five hundred citizens of Lyme that accompanied the Sons of Liberty when they met Jared Ingersoll, the Royal Stamp Distributor, and demanded he resign his position. When the Stamp Act went into effect on November 1, 1765, all colonial governors were required to take an oath to support it. Thomas Fitch, who was Governor of Connecticut at that time, did so reluctantly, but Griswold, as well as eight other members of the Council, defiantly left the room to show their hostility. Although the Stamp Act was repealed in February 1766, Governor Fitch was voted out of office and the New Lights gained a great victory. In addition to serving on the Council, Griswold was chosen Judge of the Superior Court in October of 1765. His years of training as a lawyer, as well as his experience as King’s Attorney, uniquely qualified him for the demanding job. The disputes between the New Lights and the Old Lights did not diminish after Fitch’s defeat. Instead, the arguments were further heightened by the land claims of the Susquehannah Company. 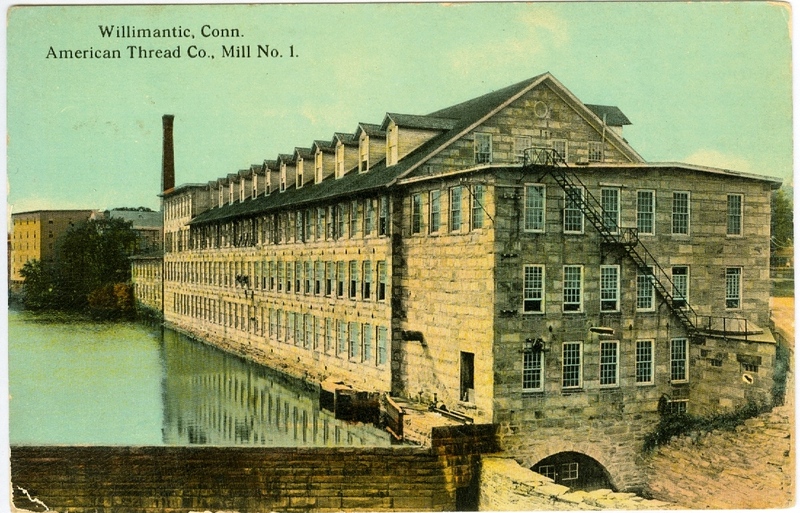 The Susquehannah Company had been formed by New Lights in eastern Connecticut to settle land along the Susquehannah River in what is now Pennsylvania. The Pennsylvania settlers objected to those from Connecticut moving in on what they viewed as their territory, and brought their complaints to England. The Old Lights feared repercussions from England and the possibility that Connecticut’s Charter would be revoked. Griswold, who realized that land was scarce in overpopulated eastern Connecticut, sympathized with the Susquehannah Company and did his best to support their petitions. In 1769, Griswold, along with Roger Sherman, served on a committee to review the Company’s claims. Despite Griswold and Sherman’s efforts, the Lower House could not be persuaded to support the Company. The formation of the county of Westmoreland, in what is now Pennsylvania, was finally approved in October 1774. The controversy over the Susquehannah Company played a major role in the special elections of October 1769, which occurred because of the death of Governor Pitkin. Jonathan Trumbull, who supported the Company, was elected to the Governor’s seat. The Old Lights tried to get Thomas Fitch, who opposed the Company’s claims, elected to the office of Deputy Governor. On the fourth ballot, Matthew Griswold gained the majority with 72 votes compared with Fitch’s 47. Griswold’s election stunned almost all of Connecticut, including his own supporters. Eliphalet Dyer, a very outspoken and strong supporter of the New Lights, had been considered to be a shoe-in for the office. His outspokenness, however, played against him with more moderate voters, and Griswold won the election. Griswold was re-elected as Deputy Governor each year until 1784. As Deputy Governor, Griswold also became the Chief Justice of the Superior Court. Aside from attending to the challenging duties as Chief Justice, Griswold was concerned about education. In 1773, he served on a joint committee to examine better methods of teaching and instruction at Yale College. To show appreciation for Griswold’s efforts, Yale awarded him the degree of Doctor of Laws in 1779. 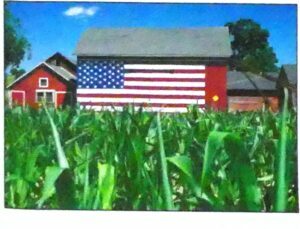 When war broke out between the American colonists and England, Griswold, an ardent patriot, whole-heartedly supported the colonists’ cause. In 1775, he was appointed to the Council of Safety. Griswold was a valued and active member, who served on a variety of committees including those dealing with troop movements, military appointments, provisions, and defense. It was defense of the Connecticut shoreline, however, that had Griswold most concerned. His own home, Black Hall, lay along the mouth of the Connecticut River. Griswold had seen British ships trying to capture American vessels, and he helped fend off a British attack on Lyme from the sea. Other British ships tried to raid provisions from Black Hall and surrounding farms. Because of these dangers, Griswold successfully petitioned Governor Trumbull to station troops in Lyme. Griswold’s fears for the Connecticut shoreline were realized in 1781 by the ruthless attack on New London and Groton by Benedict Arnold. At the time, Griswold was in New Haven for a session of the Superior Court. 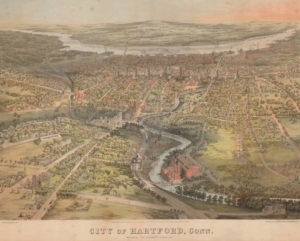 He immediately sent word to other Connecticut towns along the shore and requested more troops to secure New Haven. Griswold’s position as Deputy Governor, and his close involvement with military affairs, made him a target for British soldiers. Family lore has it that on one occasion soldiers were seen approaching Black Hall when Griswold hid in a large chest covered with bags. Ursula invited the soldiers to check the house, but they did not find him. A second time, when British soldiers came looking for Griswold, he hid under a pile of linen that had been spread on the lawn to dry by his neighbor’s daughter, Hetty Marvin. In his sixties at that time, Griswold nevertheless evaded capture! The American Revolution officially ended in 1783 with the Treaty of Paris. While the people of Connecticut rejoiced, they had become disenchanted with Governor Trumbull’s policies and associated them with Deputy Governor Griswold as well. In 1784, Trumbull chose not to run for re-election. Griswold ran for the office, but to his great disappointment, did not receive a majority of the vote, and instead had to be chosen Governor by the General Assembly. Some sources regard him as the first Federalist governor of the state, although political parties as such did not exist at that time. He was re-elected with the necessary majority in 1785, but in 1786, after again receiving too few votes for a majority, the General Assembly selected Samuel Huntington as governor. Griswold continued to use his legal talents when he became President of the Supreme Court of Errors in 1784. Griswold also recognized the need for a strong national union and supported the idea of a written Constitution. In 1788, the town of Lyme chose him to serve as a delegate to Connecticut’s convention to ratify the Constitution. Griswold, who was quickly chosen to serve as president of the Convention, had the honor of informing Congress of Connecticut’s ratification of the new government. The year 1788 also brought tragedy to Griswold, when Ursula, his wife of more than forty years, passed away in April. He retired soon after to Black Hall to manage his estate. Griswold’s last public duty came in 1789, when he was asked to be among those to greet George Washington when he visited New Haven. On April 28, 1799, Matthew Griswold passed away in his home. He is buried beside Ursula in Old Lyme’s Duck River Burying Ground. Allyn, Adeline Bartlett. Black Hall Traditions and Reminiscence. Hartford: The Case, Lockwood & Brainard Company, 1908 [CSL call number CS 71.G87 1908]. Dictionary of American Biography. Volume 8. New York: Charles Scribner’s Sons, 1936, s.v. “Griswold, Matthew,” pp. 9-10 [CSL call number E 176 .D56]. Garrity, John A. and Mark C. Carnes, eds. American National Biography. New York: Oxford University Press, 1999, s.v. “Griswold, Matthew,” pp. 640-643 [CSL call number CT 213 .A68 1999]. Griswold, Glenn E., comp. The Griswold Family, England-America: Edward of Windsor, Connecticut, Matthew of Lyme, Connecticut, Michael of Wethersfield, Connecticut. 7 vols. Middleboro, MA: Griswold Family Association of America, 1935-1983 [CSL call number CS 71 .G87 1935]. Ifkovic, John W. “Matthew Griswold: Lyme’s Revolutionary Magistrate.” In A Lyme Miscellany, 1776-1976, George Willauer, ed. Middletown: Wesleyan University Press, 1977 [CSL call number F 104 .L95 L9 1977]. National Cyclopedia of American Biography. New York: James White & Company, 1898- , s.v. “Griswold, Matthew”, vol. X, p. 329 [CSL call number E 176 .N27]. Norton, Frederick Calvin. The Governors of Connecticut. Hartford: The Connecticut Magazine, 1905 [CSL call number F 93 .N88 1905]. Salisbury, Edward Elbridge. “The Griswold Family of Connecticut”. “From the Magazine of American History, February-April 1884.” [S.l. : s.n. ], 1884. [CSL call number CS 71 .G87 1884]. Stark, Bruce P. Lyme, Connecticut: From Founding to Independence. [Lyme? ]: B. Stark, 1976 [CSL call number F 104.L95 S7 1976]. There is no known portrait of Matthew Griswold. Originally prepared by David O. White, Museum of Connecticut History, Connecticut State Library. Edited and revised by CSL Staff, September 2004.